The economic corridors of the Greater Mekong Subregion are not just roads or highways, but they encompass a variety of economic activities that run parallel to main transport routes. Photo: ADB. Sometimes misunderstood as highway projects, the concept of economic corridors can be complex and confusing. Though not simple, they are powerful tools for reducing poverty and increasing economic growth. 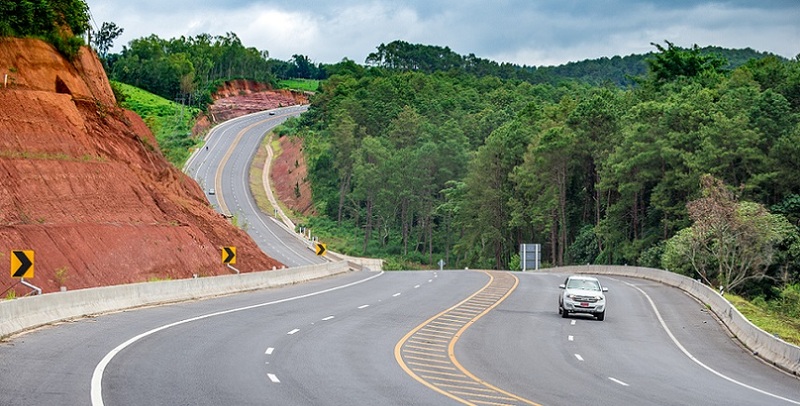 Since 1998, the Greater Mekong Subregion has been using economic corridors to promote economic growth and development that goes beyond the impact of a road or highway project. “A GMS economic corridor is not simply a connection between points A and B,” notes the publication, Review of Configuration of Greater Mekong Subregion Economic Corridors. Economic corridors are an integrated system of roads, rails, and ports that connect GMS countries. They link centers of production, including manufacturing hubs, industrial clusters, and economic zones, as well as centers of demand, such as capitals and major cities. They act as gateways to the subregion for regional and international trade. GMS economic corridors are not just a single route or highway. They encompass a variety of economic activities that run parallel to main transport arteries. Economic corridors attract investment not just along main roads, but nearby as well. They help people, goods and services, labor, and capital move within countries and across borders in the subregion. They also promote the development of areas that otherwise might be neglected if it were not for a vibrant economic corridor nearby. The concept of economic corridor development in the Greater Mekong Subregion began at the Eighth GMS Ministerial Conference in 1998 and has since become one of the most important initiatives of the program. The original vision of the corridors, expressed by GMS government ministers at the time, has stayed consistent with the program today. They called for corridors to have a sound economic rationale, including providing opportunities for the development of related economic zones. They also wanted corridors’ physical infrastructure to be complemented by streamlined policies and procedures that enable easier cross-border use of the corridors. Corridors were developed with policy and regulatory considerations in mind, and in line with an effective marketing strategy to attract investments. This vision developed into three main economic corridors. The North-South Economic Corridor involves three routes along the north to south axis of the GMS and will in the future be expanded to include greater connections to key cities and capitals in the subregion. The Southern Economic Corridor runs along the south of the subregion and links Cambodia with six provinces in Thailand, including Bangkok, four regions in Viet Nam including Ho Chi Minh City, and six provinces in Lao People's Democratic Republic. It also reaches to Dawei in Myanmar. It is also being expanded to reach more major towns and cities in the subregion. The East-West Corridor runs from Da Nang Port in Viet Nam, through Lao PDR, Thailand, and to Myanmar. It intersects the North-South Economic Corridor at the provinces of Tak and Phitsanulok in Thailand. Plans are underway to extend the corridor’s western end from Mawlamyine to Yangon–Thilawa in Myanmar, using the Myawaddy–Kawkareik–Eindu–Hpa-An–Thaton– Kyaikto–Payagi–Bago–Yangon–Thilawa route, with a possible extension to Pathein. This addresses major omissions in the configuration of GMS economic corridors—the absence of Yangon and Yangon Port, Myanmar’s principal gateway port for imports and exports, in any of the corridors. In 2008, the countries of the Greater Mekong Subregion formed the Economic Corridors Forum to serve as a single body focusing on economic corridor development. The Forum also improves coordination between the public and private sectors, and between central and local governments.